Yet more sharks in the Southern Red Sea… but this time the plankton eating kind! 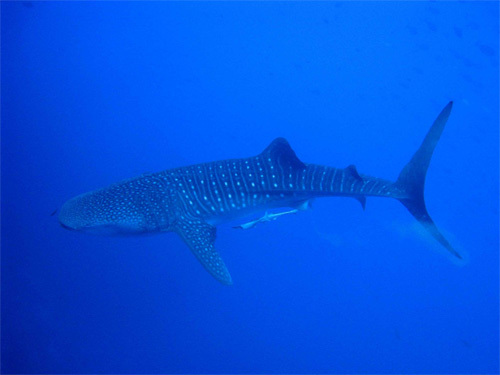 Whale Sharks have been spotted off the Brothers more than 3 times in October and November. There is no guarantee when they show up but we have been to the Brother’s Island in the last three weeks and they were all three times. This is definitely one of the most amazing experiences in every scuba diver’s life! The whale sharks were seen every time at Small Brother and some of the scuba divers got completely brilliant pics of them. Deeper down, at about 30 meters, a big school of hammerheads was cruising.